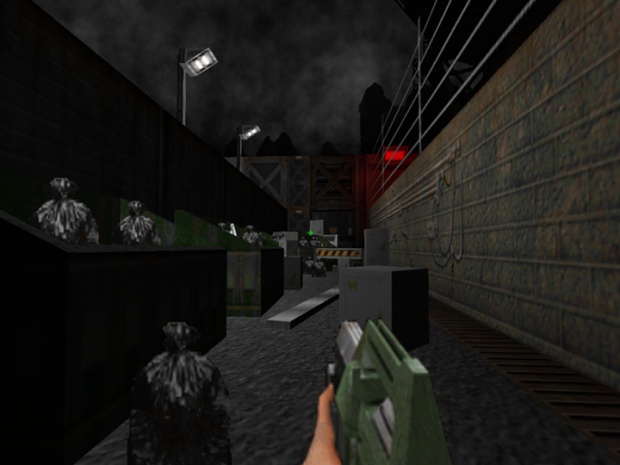 This game, based on the graphic engine of arch-known DOOM, gives us an opportunity to experience in the first person as Dwayne Hicks, the rescue mission of settlers from Hadley's Hope as occurred in the film by James Cameron: Aliens return. The game, for the moment consists of only a demo with a couple of detailed and claustrofóbicas missions (LV-426 and Defence Orbital) that give us a few hours of game packed with action and suspense worthy of the movies. While the game is inspired by the films also will provide missions beyond them, a dash worthy of such fame but hopefully you will enjoy it. This was created by Oriol Comerma (Deimos Anomaly). New features: New textures, Aligned and fixed missing textures, New areas on the first map (E1M1), New areas on the second map (E1M2) /extended gameplay, New areas on the third map (E1M3) /extended gameplay, New areas on the fourth map (E1M4), New graphics and decorations and New music. Excellent mod!, the sounds and lights create the perfect ambiance,and the music is great and the aliens are very well made. Great job. Have you made any other mods for doom?